We live in a golden age for wine, it has never been better made, more exciting or as affordable as now. I often think though how much more thrilling it must have been to have been around while the great regions were emerging and while their reputations were being originally earned. All the truly great wine regions that we talk about in reverential and hushed tones – in the old world anyway – were established long ago and so now have something of the past about them. This is not to be critical by the way, merely acknowledging that these places are often steeped in tradition. Of course what constitutes a great wine region can vary from opinion to opinion, but I am pretty sure there is a broad agreement about the very best wine regions. They must produce wines that talk of that place, be terroir wines, they must produce complex and layered wines that can be aged – whether you do age them or even want to is another matter. They must be wines that command a following and a premium price – after all that is one of the key criteria for the Cru Classé of Bordeaux and the Grands Crus of Burgundy. Taking all of those points into account, there is one leading, world class wine region in Europe that at first glance would seem to be as old as any of them, but is actually a pretty recent phenomenon. That region is Portugal’s Douro Valley. 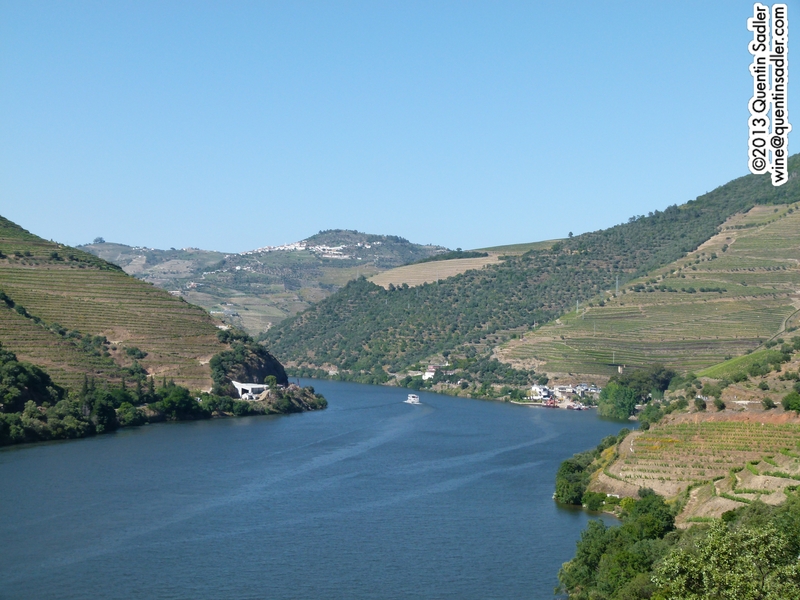 Of course the Douro has existed for ever and has produced wine of a sort since records began. However for many complex reasons, the place developed a particular style of wine – sweet and fortified – that to some degree sets it aside from places like Bordeaux, Burgundy, the Rhône, Tuscany and Rioja. Unfortified table wine from the Douro though has only been produced in relatively recent times, certainly in any quantity and to a world class standard. It was not really until 1979 that they received any recognition at all, with the creation of the Douro D.O.C..
Baron Forrester of course famously championed the production of table wines and advocated the Port producers stop ‘adulterating’ their wines with spirit, a fact that led to many conspiracy theories about his untimely death. Before phylloxerra unfortified wines from Port country were known as ‘consumo’, which certainly implies that they were simple wines drunk quite quickly after production and their market was limited to Portugal and Brazil. It seems that after phylloxerra they nigh on disappeared with the bulk of the grapes being used to produce the spirit for Port. The Douro remained purely a region for fortified wines until 1952 when Ferreira produced the first vintage of Barca Velha. It wasn’t made every year, but I well remember how this wine acquired almost mythical status and a high reputation which had a knock on effect on other producers causing them too to use surplus port grapes to make a table wine – often just on an experimental basis. It took well over 20 years for such wines to become anything other than a novelty. Portuguese membership of the E.U. had an enormous effect on wine production, massive investment in the 1990s transformed many wineries and the entire outlook of the country. Huge strides were made and development was so fast that by the turn of the 21st century Douro wines were well established. 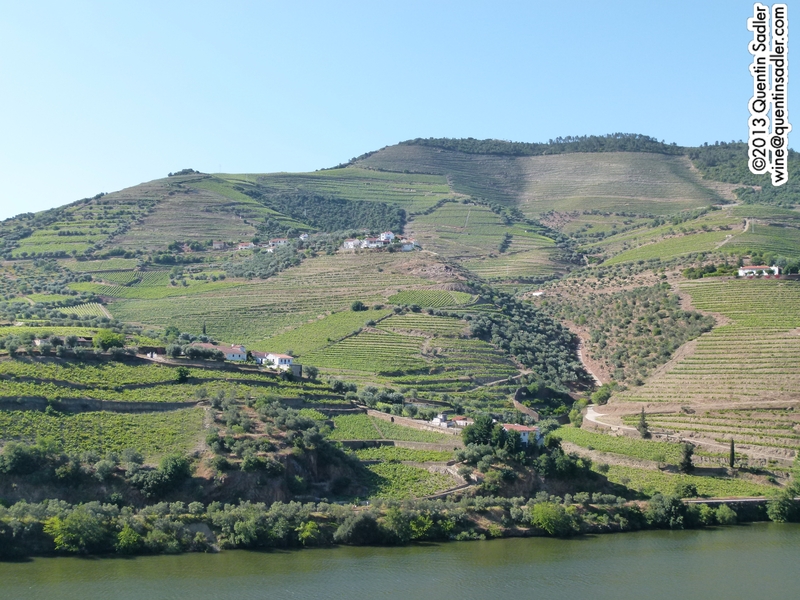 What is astonishing though is that at some point within the last dozen or so years the Douro has clearly and unambiguously taken its place amongst the great wine regions of the world and overtaken all its Portuguese rivals. Obviously this is no overnight success, but it is a remarkable achievement none the less. I have been excited by the wines for many years, indeed I used to sell a couple of Douro reds in the mid 1990s when they were still a rarity, but I have been thrilled by the amazing development I saw on a recent trip to the Douro as a guest of the Discover the Origin campaign and at the New Douro tasting in February. 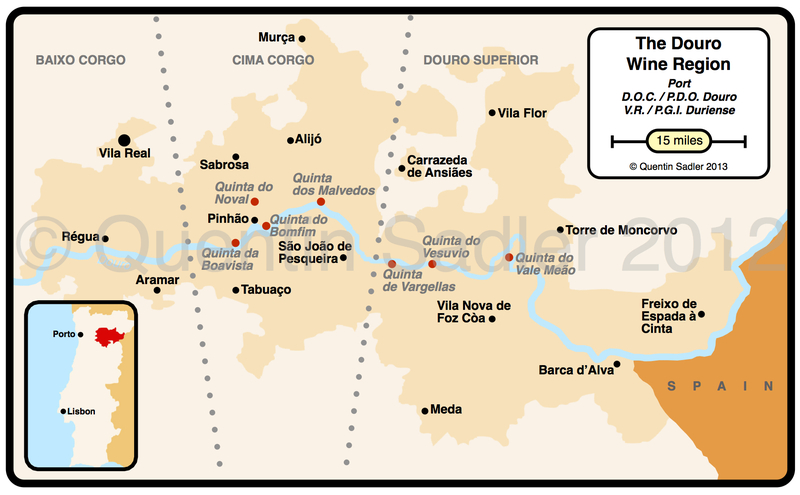 Map of the Douro – click for a larger view – non watermarked PDF versions are available by agreement. Domingos Alves de Sousa were among Douro’s table wine pioneers and produce exciting reds and whites . Their 2007 Alves de Sousa Reserva Pessoal Branco is a very individualistic sort of wine, full of character and depth. For this dry white they decided to make a wine with some of the personality and intensity of a white Port. To achieve this it was fermented (on the skins for the first 48 hours) in new French oak with hyper-oxidation and hard pumping over and a further 6 months in new French oak. The result is extraordinary, full flavoured, concentrated and quirky with barley sugar, caramelised orange, rich apricot, spices and honey, in fact it sort of tastes like a very rich Sauternes, but is bone dry. It put me in mind of those new wave amphora aged wines and orange wines, but unlike most of those it is utterly delicious – 93/100 points. The Abandanado Vineyard, these ancient vines create an extraordinary wine. Field-blend of old vine Tinta Amarela, Touriga Franca, Touriga Nacional and some other grapes too and aged for 18 months in new Portuguese and French oak. Lovely nose, a red fruit and black fruit melange, smoky too, with stewed plums, sugar plums, herbs, some eucalyptus and tar. Lovely palate, great weight, fruit, tar, earth, slate, minty, supple texture with fine smoky wood and fine grain tannins. Superbly integrated and balanced, quite brilliant – 92/100 points. A blend of 80% Touriga Nacional and 20% Touriga Franca. The colour was a lovely opaque and intense cassis, while the very rich nose offered liquorice, earthy mineral notes, wild herbs, mocha and a hint of spice. Ramos Pinto is a family owned Port house that has been around since 1880, but has been at the forefront of the Douro’s table wine revolution. Which is hardly surprising given that the current owner’s father created Barca Velha. Their table wines are called Duas Quintas because they are a blend of fruit from 2 different estates, but I am sure that you could have worked that out for yourself. The 2011 Duas Quintas (cask sample) was as reliable as ever with rich fruit, supple tannins and that slatey minerality to the finish. The 2011 Duas Quintas Reserva (cask sample) was more intense with richer fruit and more concentration. 50% Touriga Nacional, 40% Touriga Franca & 10% Tinta da Barca with 18 months barrel ageing. This great wine was equally intense, but more developed, smoky and earthy and mineral with some leather touches and rich raisined fruit giving a slight Port-like feel. Incredibly concentrated, but vibrant and modern in a really delicious and stylish way – 92/100 points. Available in the UK from the Wine Society @ £25.00 per bottle. 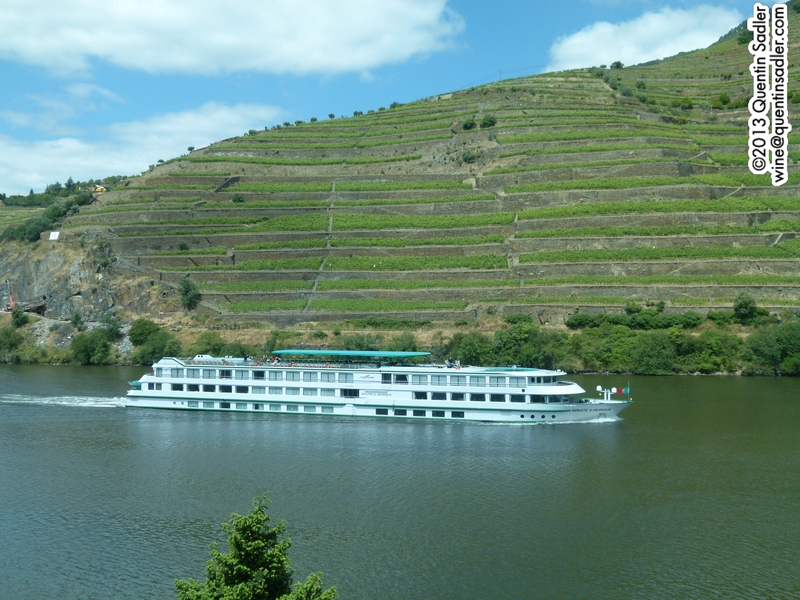 More of the beautiful Douro. Symington Family Estates is of course one of the firms that dominates the Port business – amongst other brands they own Cockburn, Warre’s, Dow’s and Graham’s. 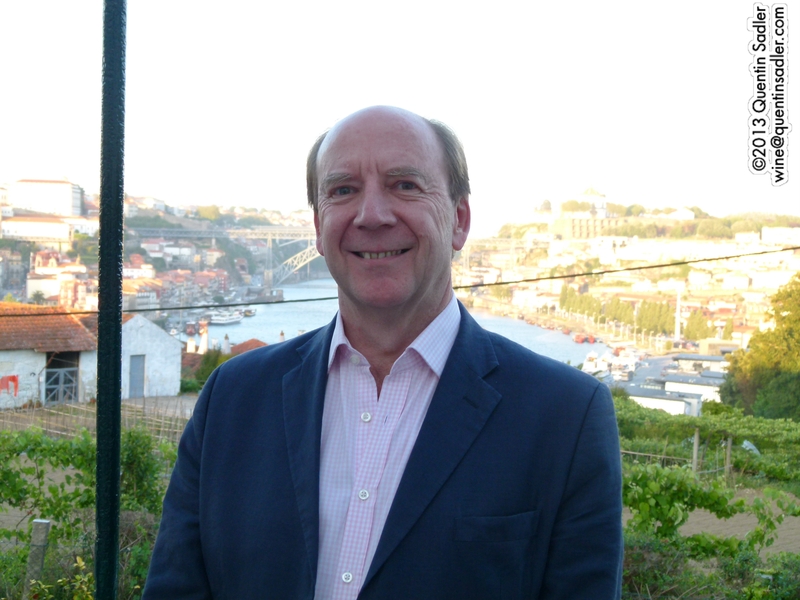 I visited them at Graham’s Lodge in Porto and was very impressed by what I tasted – dinner in the new Vinum Restaurant at the Graham’s Lodge was rather stunning too and Johnny Symington was a charming, entertaining and informative host. Renewing acquaintance with their wines at the New Douro tasting in London I was wowed all over again – even their relatively humble Six Grapes Reserve Ruby Port was delicious. This blend of organically grown Tinta Barroca, Touriga Nacional, Tinta Roriz and Touriga Franca grapes was cold fermented and aged in second fill French oak for 10 months. This offers great concentration and depth and wonderfully vibrant fruit and a slatey minerality, it gives lots of pleasure and is sinfully drinkable. This is stunning quality for its price and should be more popular – 90/100 points because of the great value. Available in the UK from Waitrose & Ocado @ £9.99 per bottle. The 2009 Altano Reserva Quinta do Ataide is a bit more serious and concentrated still, showing a little ageing, but the fruit is still intense and it has that spicy, earthy, mineral and inky character that reminds me of Priorat’s licorella and which I have come to identify with the Douro – 91/100 points. 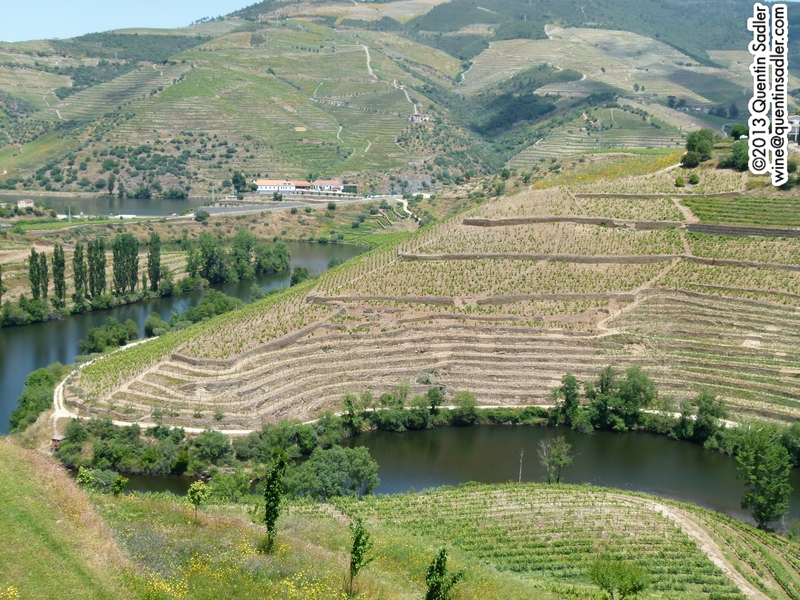 They also produce a pair of deeply impressive wines at their Quinta do Vesúvio estate in the Douro Superior zone. The 2009 Quinta do Vesúvio was my favourite red wine of 2013. It is intensely ripe, fragrant and floral, concentrated and so gloriously fruity that the complexity and structure is a little hidden, but it’s there, with silky tannins, mocha tinged oak and that rocky herbal, slate minerality on the finish. This is a magnificent wine and was the most impressive Douro I tried on my trip, perhaps only by a whisker, but I loved the intensity of the fruit, the concentration, the supple tannins and the incredible spectrum of flavours – 93/100 points. The second wine, the 2009 Pombal do Vesúvio is very good too, just that bit lighter and more stony in character – 91/100 points. 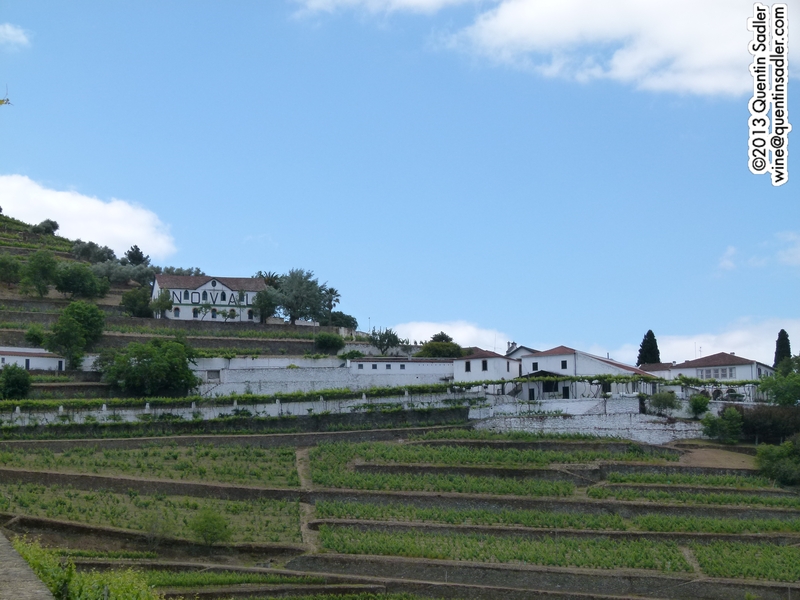 The Symingtons also produce wines in partnership with Bruno Prats at Prats & Symington which is based on the fruit from Quinta de Perdiz and Quinta de Roriz, which are close together midway between Bonfim and Malvedos. 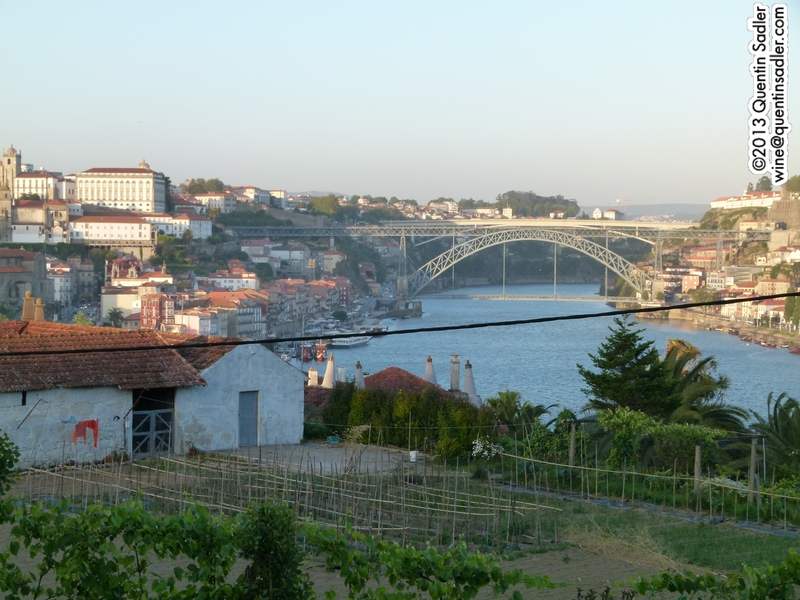 Unusually, given that these properties are bang in the middle of premium Port country, it is Douro table wines that is the focus here and so the best fruit is selected for that, although a little vintage Port is also produced. The company was formed in 1998 with wines following in 2000, so it is all still very new, but also very assured. The principal wine is called Chryseia which means gold in Greek – Douro also means gold. The 2011 Chryseia promises much, being intense and concentrated with plush fruit and lots of that licorella-like minerality. It isn’t just big though, there is freshness and balance too making it very fine. The 2007 Chryseia is 50% each of Touriga Nacional and Touriga Franca and showed more development. It is beautifully supple and richly fruity, but with more dried fruit showing now. The minerality is still there giving an almost bitter twist like tapenade and strong espresso to the finish, while the tannins are just beginning to be silky – 93/100 points. There are two second wines, the 2011 Post Scriptum has bags of fruit and an elegant juiciness. While the 2011 Prazo de Roriz too had lots of fruit, it was more earthy, mineral and savoury with a bitterness reminiscent of unsweetened dark chocolate. 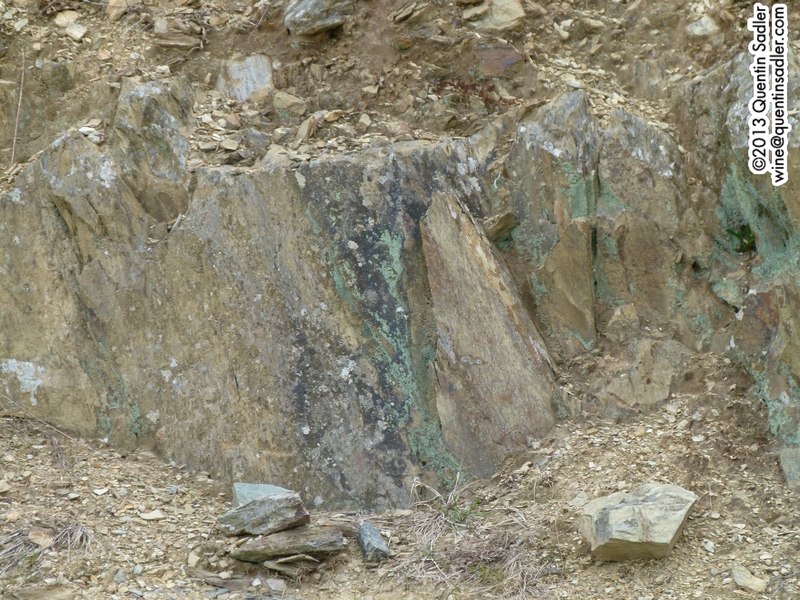 The schist soil in the Douro Valley. All the wines I had were very good. Some were bargains, many offered great value, while others were great at any price, but in all of them there was elegance and a sense of place. That mineral, slate or licorella taste was always there giving a true taste of the Douro. The water is drawn up through these schist soils and whether that directly effects the wine or not they do have this slatey schistous flavour profile that makes them very distinctive indeed. It seems to me that any tasting of the Douro will reveal wines worthy of rubbing shoulders with the best. They scream of their terroir – you can taste the wild slate hillsides in the glass. The better wines are certainly layered and complex and can age, while many of them now command and indeed deserve eye watering prices. These wild, barren, sun-soaked slate / schist hillsides seem to be able to produce extraordinary wines with great depth and often real complexity. What’s more the region has its own grape varieties – used to make Port in the past, but now clearly capable of producing world class dry wines. So if you want classic European wines, but with new flavour profiles, the Douro is a good place to turn. If you like Tuscan wines, Priorat or the wines of the Rhône then these really could be wines for you. I am certain that we have just lived through the birth of a truly great wine region, they are not yet widely popular or sought after, but as Paul Symington confidently told me, their time will come. 1952 Graham’s Single Harvest Tawny (Colheita) Port which was bottled to celebrate the Queen’s Diamond Jubilee. Now I love Colheita Ports, I think they are a fabulous and underrated style, but the quality of this took even my breath away. These old wood aged Ports – and this wine has lain undisturbed in wooden pipes for 60 years – lose that opaque colour and look quite brown and nutty. This was fragrant and perfumed with molasses, dried fig and salty caramel aromas. The palate was sensuous and rich with liquor orange, dried apricot, dried figs, sticky toffee pudding and candied pumpkin characters. The finish was long and nutty, but balanced by a nice cut of refreshing acidity to cleanse the senses. A stunning, stunning wine and without a doubt the best thing I drank in 2013 – 96/100 points. Time was when your local corner shop was the last place you would turn to buy a bottle of wine. I well remember how they used to be, a jumbled assortment of wines with no apparent selection process, vaguely arranged on the shelves with price tags guaranteed to make you wince. Well it seems that that might all be in the past, at least at Spar stores. We all take Spar stores for granted, there they are on most shopping parades all over the country supplying us with emergency bread and milk and a few other bits and pieces. Well recently I have tasted quite a few of their wines and I have to say that I have been impressed. The range that I tried consisted of smart, well sourced and sensibly priced wines that hit the spot time and time again. It seems to me that the quality of the Spar wine offer now means that they will no longer be the wine shop of last resort, but somewhere customers can rely on as to provide some really very good bottles of wine. What’s more they have their 5th Annual Wine Festival coming up which will allow you to try their wines at specially reduced promotional prices. Opaque purple damson colour, bright. Plummy, fragrant, bright and fruity. Chunky fruit, some spice and a feel of happy freshness. The texture is satisfyingly chewy with a sappy quality. Soft tannins and rich fruit make this very enjoyable and very versatile. Extremely drinkable with or without food – 86/100 points. Nose of damsons, rich cherries and red berries with a touch of smoke, fragrant spice and flowers. The palate is smooth and discretely juicy with lovely ripe red plum and cherry fruit supported by soft tannins, subtle oak and a seam of fresh, cleansing acidity. This was either a delight or I seriously wanted a drink! Perfect with pasta and a multitude of Italianate dishes – 87/100 points. Made by the lovely people at the Araldica cooperative this is a very modern and fruity Barolo. Deep ruby colour, not opaque, with a slightly orange rim. Nice earthy nose, orange peel and savoury mushrooms, even some meat notes. A very supple palate, smooth and very drinkable. The astringent dryness comes through on the finish much more as do the rose petals and earthy characters. The tannins are there, but not harsh, for a Barolo it is very fruity and upfront, which makes it very attractive and enjoyable – 87/100 points. This was also made by the splendid Araldica cooperative this is a nice, easy drinking Gavi. Citrus and orange blossom aromas lead to a gentle palate with soft acidity and a touch of almond about it. There is a touch of minerality and a slight creamy feel that makes it feel quite elegant. A very enjoyable, user friendly dry white wine – 86/100 points. Fresh, citric, grassy and elderflower nose. Green tinged palate with quite rich, soft ripe green fruit and the merest hint of apricot and a juicy palate. Nicely made, modern, bright and drinkable, not really crisp but very attractive and very drinkable – 87/100 points. I’m not always a fan of Prosecco, they can often be a bit simple and somewhat sweeter than I want, but this is a very nice sparkling wine. Unusually dry and not too cloyingly aromatic, it is elegant, refreshing and crisp with a steely edge and taut appley fruit. Incredibly versatile and clean as a whistle – 87/100 points. These were all good wines that I tasted on their own and again with food. They were well made, stylish and very enjoyable, perhaps not the most profound wines or finest and most complex examples of their type, but they were all very enjoyable to drink – I know I certainly derived a great deal of pleasure from drinking them. So next time you are in your local Spar, stick a bottle of Prosecco in your basket as well as the milk and the hobnobs. It is a strange fact of life in the modern wine world that many times each week I am told that France has been overtaken as a producer of good wines by the new world giants of Australasia and South America. It is wine consumers who tell me this, people who want straightforward wines that deliver a lot of character, punch and fruit – people who more often than not drink wine without food. I find it remarkable that people can seem to just write off the delights of all French wines. All those great wines and much great value too, but then I know people who claim not to like cheese or fish, which also seems a bit of a sweeping statement to me. Of course there is some truth in the view that France somehow gives out a very traditional image as a wine producing nation and to many consumers appears to be very complicated. Whereas Australian and New Zealand wine is very simply presented, often easy to understand and sports an image of exciting, cutting edge winemaking. The truth is much more mixed and balanced. In reality there is excitement in every wine producing country just as much as there is stodgy conservatism. So to dismiss France should be impossible for any real lover of wine. France has exciting and innovative wine makers in all her regions and they come in many guises, from new kids on the block in traditional regions to out and out mavericks creating something new. 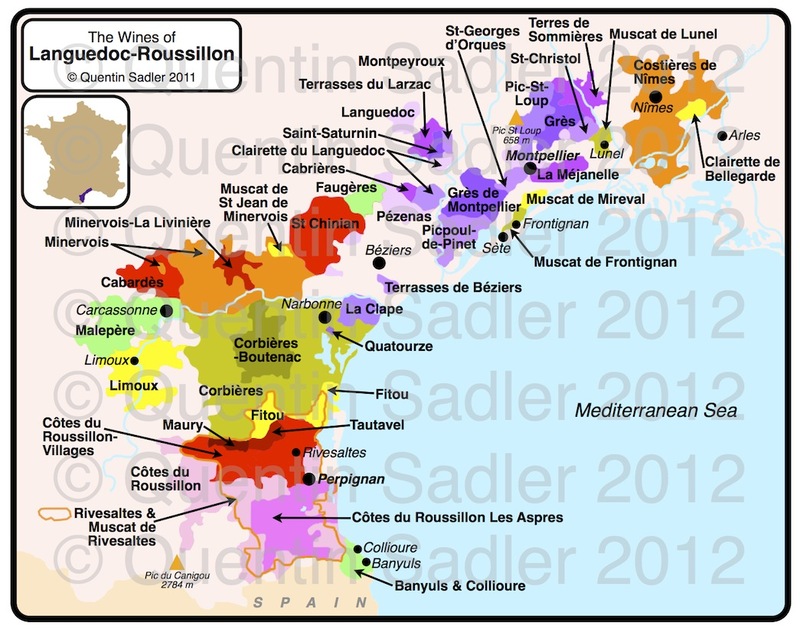 I was very excited recently to try two wines from the Languedoc-Roussillon region – in France’s deep south on the Mediterranean coast – that were truly astonishing as it had never occurred to me that anyone would or could make them. Both wines were made from aromatic grape varieties. One is Iberian in origin and although one of them is famously used in Alsace, I have never come across it from other parts of France before. The first wine I stumbled across at the Vinisud wine fair while a guest of Les Vignobles Foncalieu, which is a union of cooperatives who produce many different ranges of wines from entry level to premium, varietal to classic A.C. and blends to single estate wines, but who always show flair and imagination in all they do. I will be writing more about them soon. IGP d’Oc from vineyards around Carcassonne. 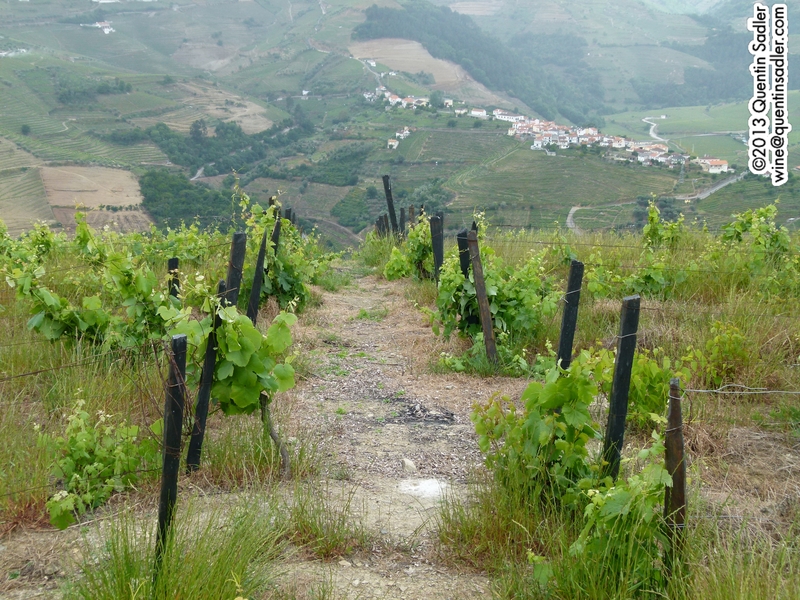 This is the first vintage of Albariño as the grape has only been permitted in the region since 2009. I have never tried this grape from France before, only from Spain, Portugal (where it is called Alvarinho) as well as Virginia and California, but nowhere else in Europe. The aromas are quite rich and peachy with floral honeysuckle notes making it seem quite rich, yet aromatic. This carries on to the palate with a slightly oily texture and rich peach fruit making it feel very succulent, while a moderate amount of apricot and pear drop acidity freshens it up to provide balance. This is a pretty good effort for the first vintage and it was lovely to drink, I have certainly had less enjoyable examples from Spain. Great on its own as a wine bar wine, or with a wide array of lighter dishes – 86/100 points. This is a new wine, so as yet there are no stockists of which I am aware. More information is available from Clementine Coummunications Ltd.
IGP d’Oc made by Domaines Auriol from fruit grown between Narbonne and Béziers. Again this is the first vintage as the grape has only been permitted since 2011. To retain some freshness and acidity 7% sauvignon Blanc is blended in to the fatter, richer Gewurztraminer. Heady aromas of peach juice and peach skin, cooked apricot and touch of more exotic lychee too. The palate is soft with very low acid and some residual sugar making it textured in the mouth. The finish is like succulent orchard fruit, this is very nice stuff, medium dry, well made and great fun. A good alternative to lower end Alsace Gewurztraminer – 86/100 points. Available from The Smiling Grape Company @ £8.99 per bottle. More stockist information is available from Myliko International Wines Ltd. So you see, the next time someone tells me that France isn’t innovating in wine or is being left behind, I really will have to set them right.